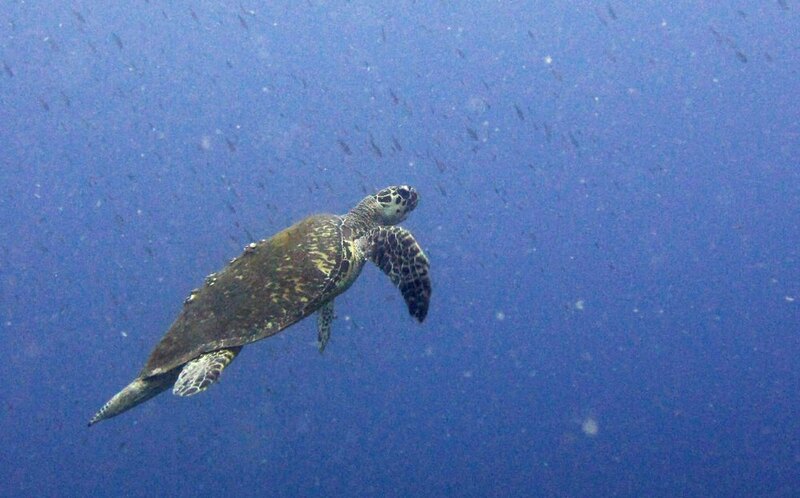 A Hawksbill Turtle (Eretmochelys imbricata) heads to the surface for a breath of fresh air at Whibbles Reef. 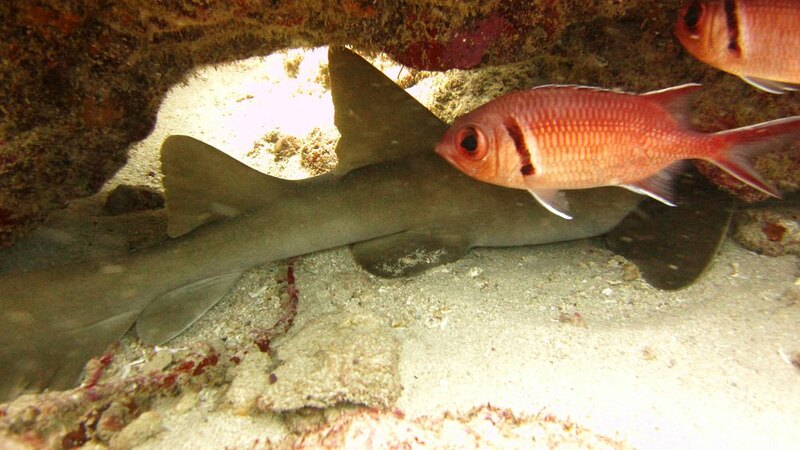 The only views of sharks I got this trip were all like this: the back end of a Nurse shark (Ginglymostoma cirratum) asleep under a coral head. 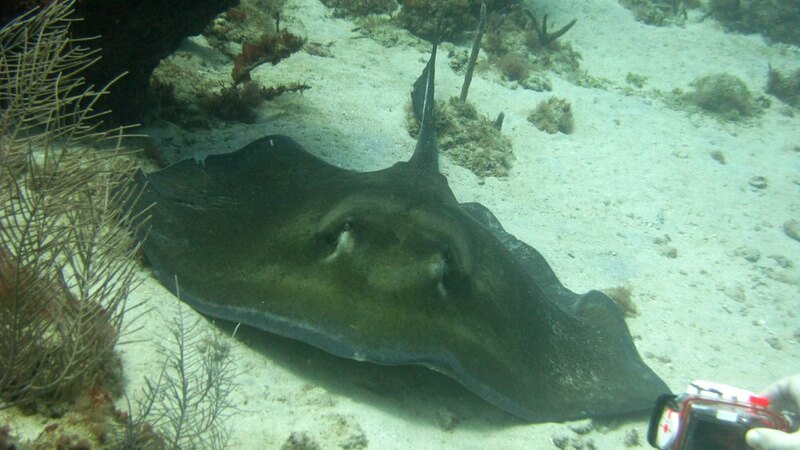 This one was, appropriately enough, at Shark Reef. 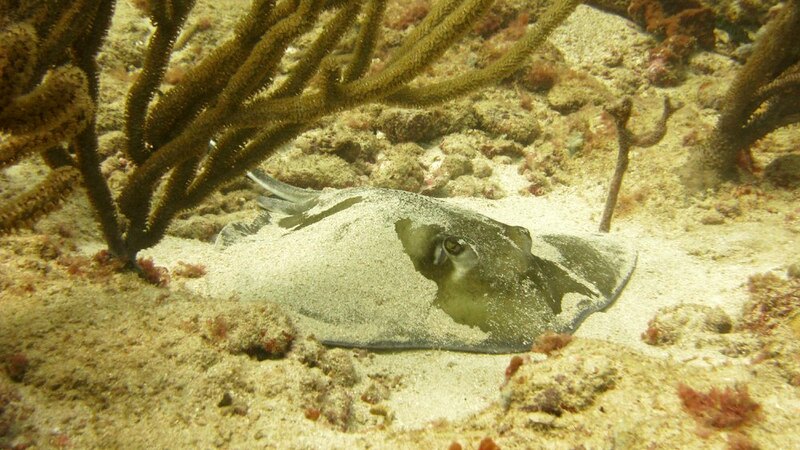 A Southern Stingray (Dasyatis americana) smiles for the camera at Japanese Garden. 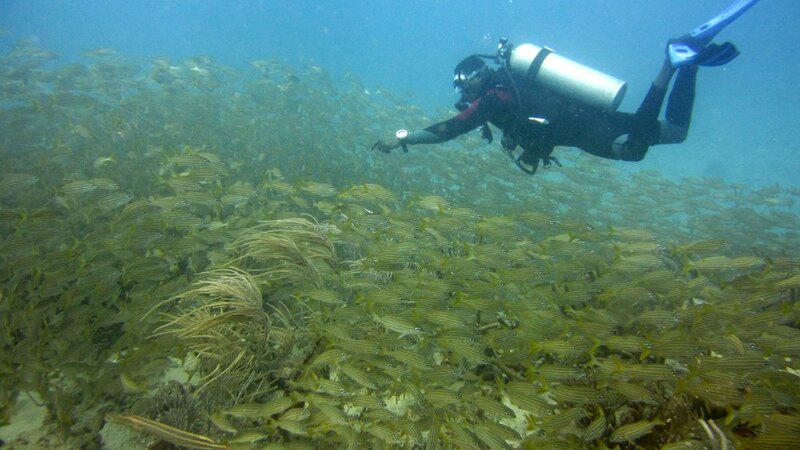 Dive leader Gary frantically signals that there is a stingray underneath this huge school of French Grunts at Shark Reef. 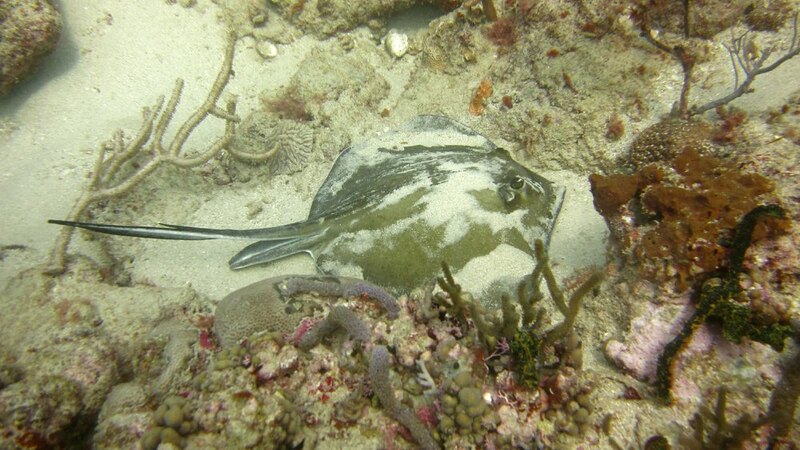 And here's another one, also at Shark Reef, but on a different day. 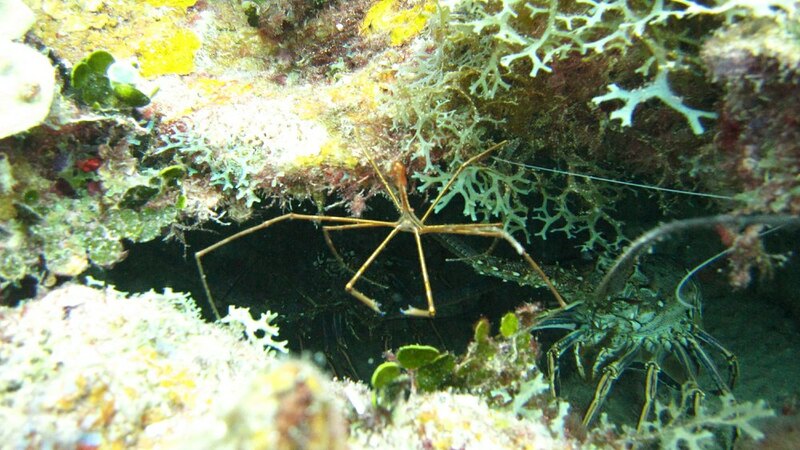 An Arrow crab (Stenorhynchus seticornis) shares its cave with a couple of lobsters at Northern Exposure. 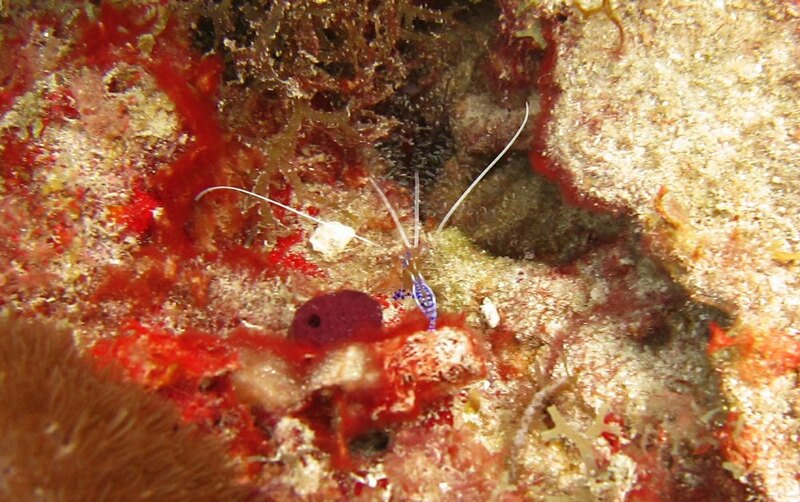 A tiny Pederson Cleaner Shrimp (Ancylomenes pedersoni) at Japanese Gardens. 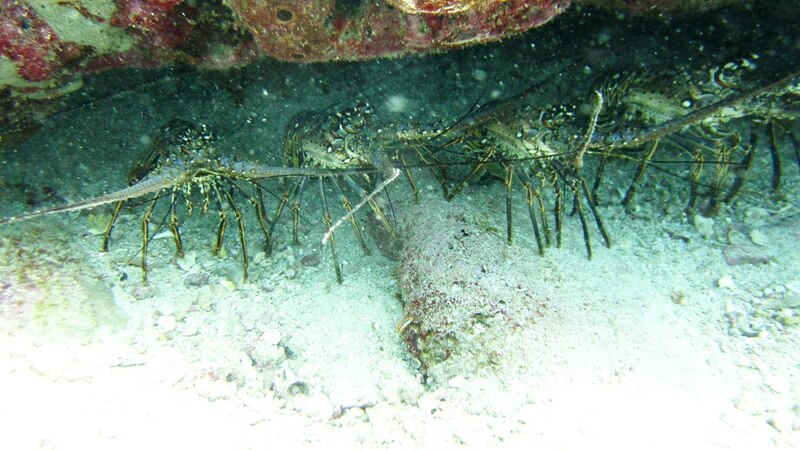 Four of a group of thirteen Caribbean Spiny Lobsters (Panulirus argus) standing shoulder to shoulder with overlapping antennae in one cave under a rocky ledge at Shark Reef. 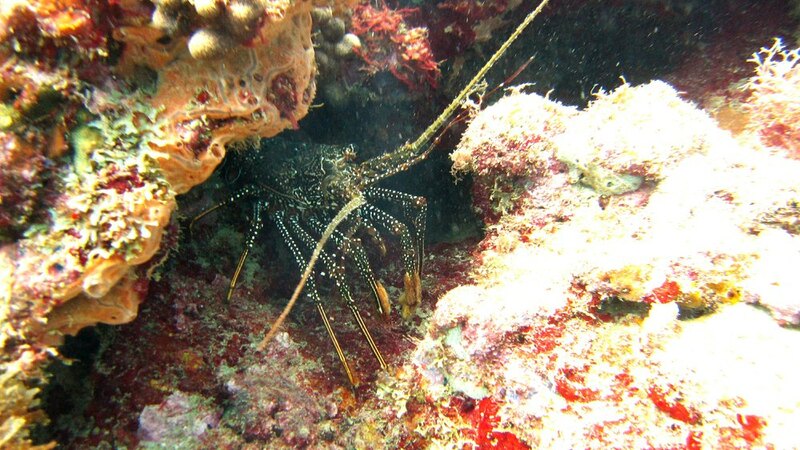 Here's one of them a bit further along the line-up. 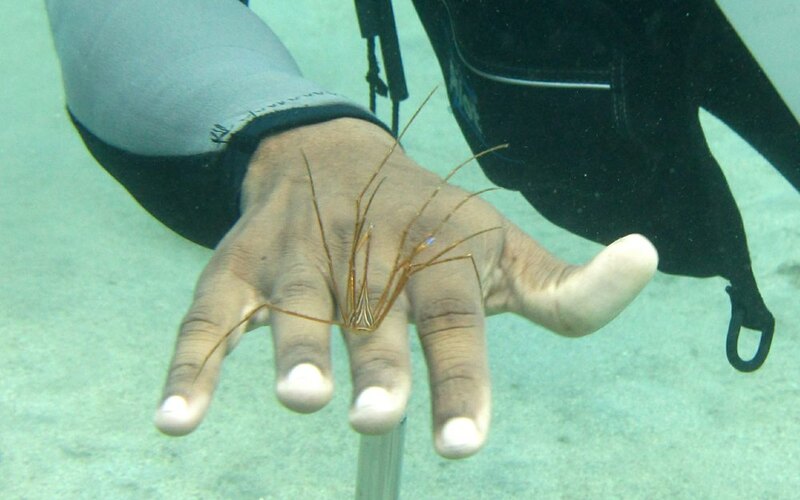 One of the dive leaders holds up an Arrow crab for portraits at Flamingo Bay. 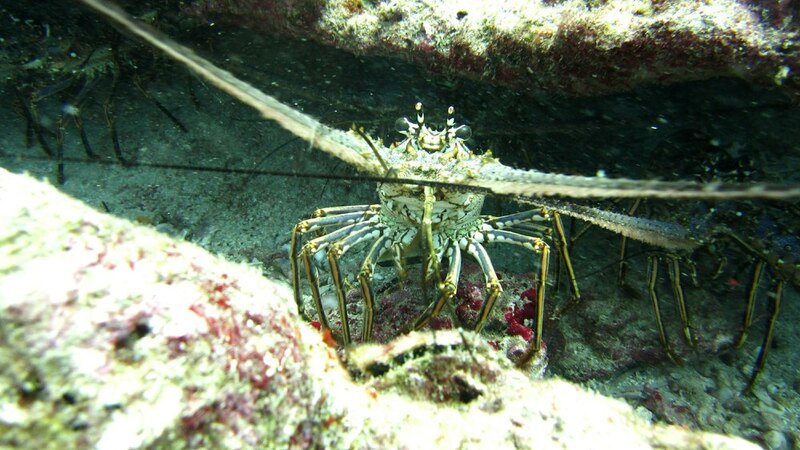 A Spotted Spiny Lobster (Panulirus guttatus), also at Flamingo Bay. 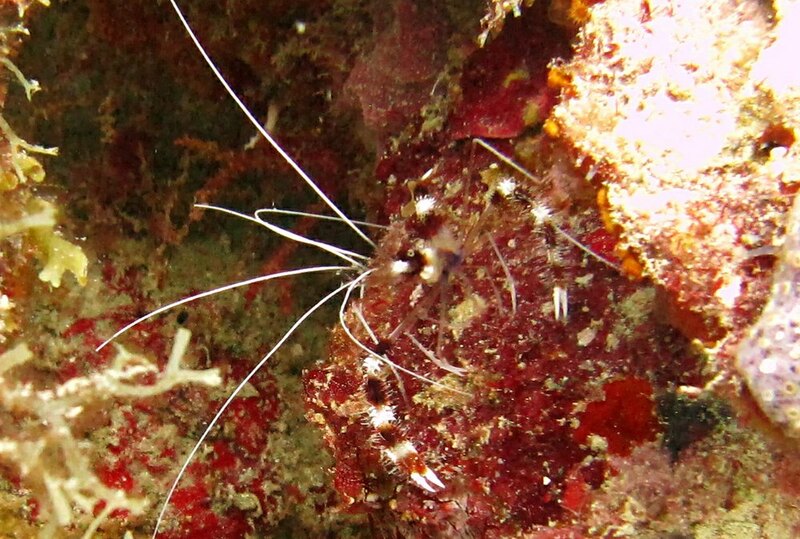 These Banded Coral Shrimp (Stenopus hispidus) were common at all the dive sites. This one was at Purple Rain. 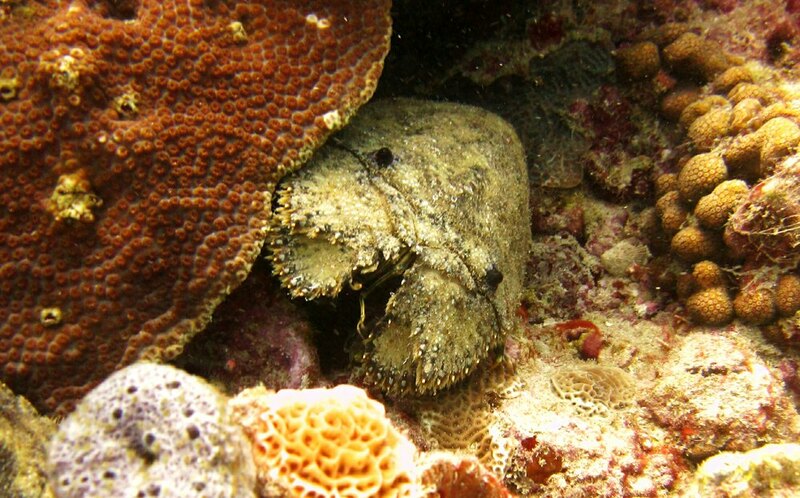 A Slipper Lobster (Parribacus antarcticus) at the excellent Shark Reef dive site.